Little Freddie Organic Juicy Strawberries, .. 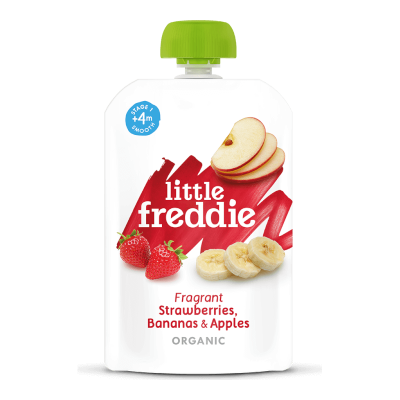 Crisp apple, naturally sweet strawberries and mellow banana come together in this delightfully creamy creation. It’s a perfect first taste for your baby, full of ingredients containing Vitamin C and dietary fibre.